No matter how much you know about the area you live in, there are always new things to earn and discover. You don’t have to take guesses to find new things to do in your area. Not when Placety for iPad can help you out. This attractive application lets you discover and share places you care about with your friends on Facebook and Twitter. 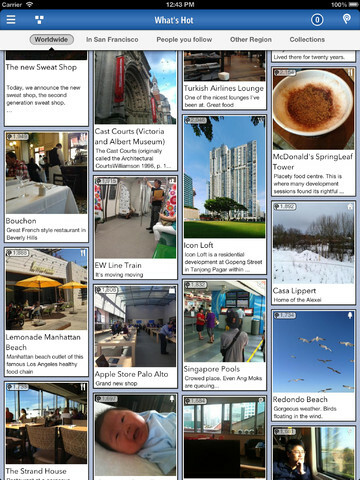 Use this to share your favorite spots with the world. Placety is a social network all about sharing places with others. You can create places on your tablet and share it with the community. The app lets you share messages with your followers and leave audio notes on places, users, and photos. Placety takes advantage of augmented reality to help you discover places around you. 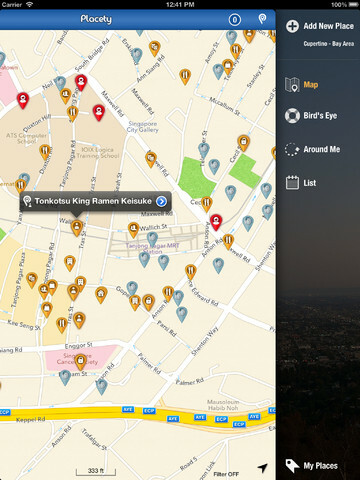 Placety for iPad is an interesting community for discovering awesome places all around you. It is Twitter and Facebook friendly too. If you love fully exploring the area you live in, Placety has you covered.